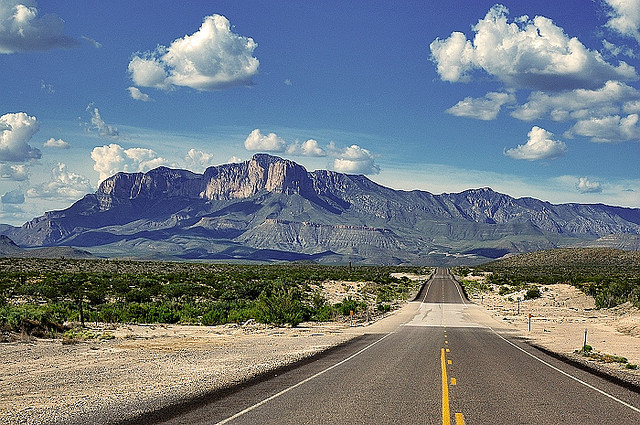 Guadalupe Mountains National Park in West Texas; photo by Daniel James on Flickr (noncommercial use permitted with attribution / share alike). Lyrics to "Texas Our Texas"
Sends out its radiance to nations near and far. Shines forth in splendor your star of destiny!